If you want to enjoy the convenience of your automatic garage door for many years to come, you'll need to see to it that this complex mechanism receives the maintenance attention it needs. To ensure nothing gets neglected, book a service appointment today with our professional technicians. We don't just maintain the big components like the panels and the tracks, although those will be carefully inspected and fixed if anything is wrong with them. Our team will also check the condition of your rollers and lubricate them, as well as your hinges, to ensure your door continues to moves smoothly and as silently as possible. Your garage door springs are put under a great deal of tension each time you use the system. This probably means most days. It's only natural for these devices to require some type of maintenance to stay functional. Our technicians can lubricate your springs and check their tension - if adjustment is required we'll perform it on the spot. In the end, this attention will help the components to last longer, and reduce the overall strain on your system as a whole. We will check the alignment of your safety sensors to check that the automatic function is safe for use. These components are designed to prevent the opener from closing the door if it detects something in the way, whether a person or an object. For this reason, testing them and realigning them when necessary is incredibly important to prevent a safety hazard from developing. 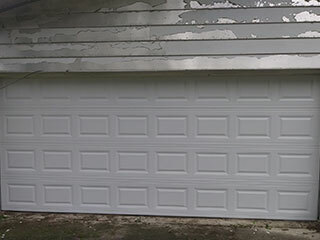 Rather than waiting for things to go wrong, contact our team at Garage Door Repair Roswell and let our professionals ensure your system, from the opener to the rollers and the springs, are in the best condition possible.